How Valuable is a Financial Emergency Kit for your Family? Merely having a thought about an unexpected, debilitating, and life-changing event can be depressing. However, illness or death can occur anytime, anywhere and when you least expect it. However, a lot of people do not prepare for such circumstances. What is the significance of financial emergency kit to your loved ones? Those who do not prepare may also signify a costly and continuous, end-of-life care for a family member should a fateful event occur. So what does a family financial emergency kit mean? There are a few standards essential in completing your kit. These materials are water, bandages and other disaster supplies ready for use. The content requires being a clear, direct, organized, legitimate set of useful information, documents, and items accessible to people who need to utilize them. So, what should your kit include? Estate planning is the best kind of financial emergency planning since it focuses on the primary individual financial emergencies, like medical incapacitation or termination of life. Would your family have simple access to this crucial material if something unexpected happened to you? In your family financial emergency kit, estate records and documents should contain copies of current wills (both for you and your life partner or spouse). Your advanced directives (which inform physicians on end-of-life or any other stages in medical care). Financial/Health powers of attorney (which appoint particular individuals to take over to handle your money or healthcare if you are not able to do so), as well as other important documents that give additional enlightenment for business operations and managing other assets you own. Be certain that these files are current and that should include contact information for the entire qualified experts you used to make them such as business or estate lawyers, financial planners, and tax professionals. If a family member becomes incapacitated or passes away, tax materials still require being handled as well. If you happen to work along with a tax professional, be sure their contact information is in the physical or digital kit. However, it is also essential to keep past returns and applicable supporting information based on your tax condition. If you work with a tax expert or an official registered Ashe Morgan financial planner, you may have access to a specific system that records and tracks this information in a standardized manner that a lot of us do not have at home. On the other hand, if you prepare and record your assets, it must be included in your kit. The ability to find household and auto policies in a disaster is a piece of care, but it is vital to think a little more widely. File as much contract and policy detail as you can for any life, health, business, disability, and accident coverage you have. Also, it is best to remember that it is vital to note or file documentation on this insurance at work as well. Now and then, we sign up somewhat blindly for work-related benefits only to find out how crucial they may be especially in cases of financial emergency. In cases when you are far away from home when damage happens or if particular members of the family need to access vehicles or any other, be certain you have access codes and keys secured safely in your emergency kit. Also, you will desire to guarantee that your emergency contacts have the required access to your emergency kit for them to be able to redeem such materials. Either you save images physically, or inside the computer, it is safe to keep shots of your possessions and property if you experience an insurance loss. Manifesting loss in a financial emergency is essential, so consult with your insurance representatives about the finest documentation they need in demonstrating the truth or existence of claims to manage what you document. Other people want minimal guidance, while others need more. The family financial emergency kit requires being accessible by all entitled members of the family. Place yourself on the part of a family member or friend who has been called in to assist and help you in a time of crisis. If you must fill in to resolve an estate, healthcare or emergency for a family member or friend and they were not around to guide you, what piece of information should you require to start up? In case you work with skilled financial experts, be certain to include their contact details. Any data you add in an emergency kit, should include a separate document or digital direction that instruct people to call, use account numbers, Online addresses, and other important information to guide that particular person about what is ahead of them and what they must carry out. In the end, what matters is that the documents of the kit and contents are secure and protected and its organization fits the preferences and habits of the decision-makers who will desire to use it. Financial emergencies can take a lot of procedures. 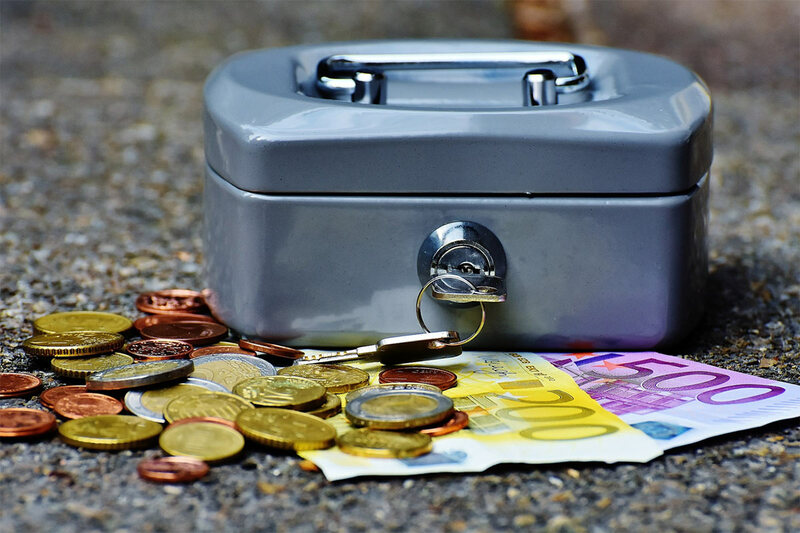 On the bright side, a solid and well-prepared financial emergency kit can lessen loss and will also help you make vital decisions correctly and swiftly.